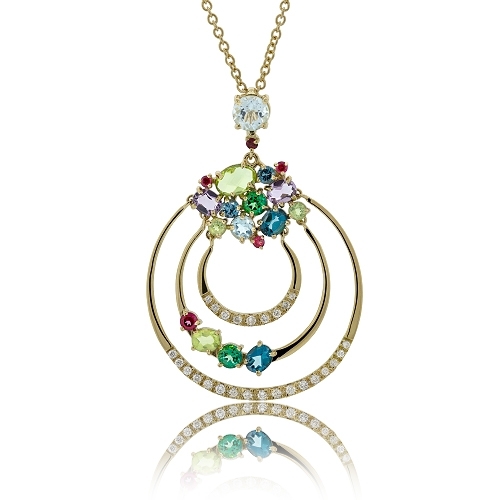 Pendant with double ring design set with multi-colored & multi-shaped semi-precious stones mounted in 18k yellow gold. Diamonds approx. .70ct. Chain 18"